While higher wages are good for workers, they also are a leading indicator of inflation. Good, but not too good: The November jobs report found that wage growth remained steady at 3.1 percent last month, sending a positive market signal as a tumultuous week drew to a close. Although the 155,000 jobs added in November missed analysts’ expectations by nearly 45,000, with the unemployment rate remaining at 3.7 percent, economists say the silver lining is that any apparent weakness is more likely to give the Federal Reserve pause in its plan to raise rates next year. “Wage growth has been really solid in 2018… and is ending the year in a very strong place,” said Andrew Chamberlain, chief economist at Glassdoor. But while higher wages are good for workers, they also are a leading indicator of inflation and an important variable in the Fed's calculus for setting interest rate increases. “Much of our work shows that wage inflation tends to lead other kinds of inflation,” said Sameer Samana, a global investment and technical strategist for the Wells Fargo investment Institute. 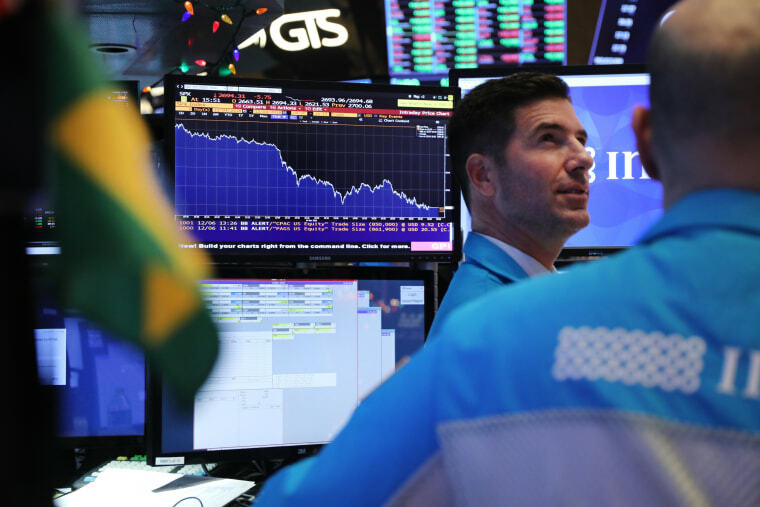 Wall Street has been sharply focused in recent weeks on statements made by Federal Chairman Jerome “Jay” Powell, parsing his remarks ahead of the central bank’s meeting this month. Samana said November’s 3.1 percent annualized increase in hourly wages, in line with economists’ expectations, likely isn’t high enough to alarm monetary policymakers and prompt them to raise rates more quickly. Stocks plunged in October after Powell said that interest rates were “a long way” from their optimal level, but in a later speech, his use of the phrase “just below” to describe where the benchmark interest rate is currently in relation to the Fed’s goal calmed investors, who also have been on edge due to President Donald Trump’s ongoing trade dispute with China and geopolitical uncertainties. Zandi said markets now seem to expect a more accommodative Fed in 2019 — and they might not react well if Powell indicates otherwise. “Of course, things can change, but labor market data indicate the Fed’s got to continue to normalize,” he said, noting that Wall Street might not have priced in the prospect of Powell and the other rate-setting committee members adopting a more aggressive path next year. “The markets aren’t anticipating four rate increases. They’re anticipating two. If we get four, the market’s going to have some indigestion,” Zandi said. But — perhaps unexpectedly — this actually doesn’t doom the real “Main Street” economy to a downward spiral, Samana said. “It’s possible that the interest rate the economy can stand could be higher than the rates financial markets are comfortable with,” he said. “One of the biggest drivers of wages this fourth quarter is that consumer confidence is near an 18-year high,” said Andrew Challenger, vice president at Challenger, Gray & Christmas. “People have extra money in their pockets this holiday season,” he said, which is fueling job growth in many of the consumer-facing industries that comprise the bulk of America’s economic activity. Consumer demand also is pushing up wages at the bottom of the income spectrum, Chamberlain said. Glassdoor data found that wages are rising faster in some lower-skilled sectors like food service and retail than in the economy overall.